Its hard to believe that its mid December already. We know that for our campers and most of our staff, that means a few well deserved weeks off from school. For our alumni and parents, we hope that you're going to get at least a few days off from work to enjoy the holidays!We know that many of you are headed out of town, off to visit family, spend some time in the sun, or hitting up the slopes for skiing and snowboarding. Whatever your plans are, have a great winter break! For those of you headed out of town, first and foremost, we hope that your travels are safe. Have a great time wherever you go and make sure you end 2015 and start 2016 in great fashion! While the weather is dreary and you're stuck in school, wouldn't it be nice to be on Spider Lake right now? We're excited for the debut of the reunion video for the Summer of 2015! Derrick has put together a fantastic video in the final preparations. Here is the first teaser from where it all started: Who's the Best Village? In addition to sharing his music with us this summer, counselor Ryan O'hara has shared this great video that he shot at camp this summer. We hope you all enjoy! We want to congratulate NSC alum Joe Mendes and his wife Cynthia on their announcement that they are the new owners and directors at Camp Firebird and Roosevelt in Ohio. Joe was a long time camper and counselor at North Star, has been a "lifer" at Post Camp with his family, his son Abe attended North Star and Joe also served on the board of Camp for All Kids. Joe had been working as an elementary school teacher in Cleveland Heights where he not only applied his camp philosophies but managed to help give the gift of camp to many of his students. It has long been Joe's dream to be a camp director and we are so happy that he has made it happen. Joe will succeed Andy Schwartz as the director at Firebird and Roosevelt who unfortunately passed away this past summer. We were all so saddened to learn of Andy's untimely passing, and the whole North Star community was so proud of what he was able to do and teach his campers. We know Joe will pour his heart and soul into continuing Andy's traditions at Firebird and Roosevelt. And what makes this even more special is that Andy and Joe were cabinmates at North Star when they were kids. Bully for Joe and Cynthia! We wish you all the best! Below is a list of our current participants. If you're not able to join Camp Moves Me this year, we encourage you to support one or more of our participants. If you join Team North Star, email your page info to Andy or Dan so that we can add you to our participant list and help you get more supporters. We'll update the list as more people join in! Join Team North Star and Send Kids to Camp! October marks Camp Moves Me, a month long fundraising effort through the American Camp Association. Camp Moves Me seeks to raise money to send kids to camp. Last year, in the inaugural Camp Moves Me, North Star was the top camp, with more participants than any other camp and we want to keep it that way. Anyone can sign up, but we hope that lots of NSC campers, staff, alumni and friends will join in. Anyone interested in helping raise money for camp scholarships can join in by creating their own Camp Moves Me page and then, over the month of October run, walk, swim or do any other physical activity. By finding sponsors (family and friends), each of us can help raise money and help provide camp opportunities to those in need! and register. You’ll get a follow-up email on how to personalize your page and share it with family and friends who will sponsor and donate to your pledge! Then email Andy at andy@northstarcamp.com or Dan at dan@northstarcamp.com and send us your Camp Moves Me page so that we can share it, too! The American Camp Association wants to raise $100,000 to send kids to camp so lets make sure that North Star is a big part of exposing more kids to camp! One of the great things about camp is that all of the members of our community have the opportunity to play an important role. While this refers to our campers and staff, we also have a great contingent of furry creatures who call camp home as well. Our NSC pets add to the character of camp. They make North Star a more fun and comfortable place. This past week we were sad to learn that Melo, one of our beloved camp dogs passed away at the age of 14. How Melo ended up at camp is a fantastic story. NSC alum Marc Siegel was in his senior year at Tulane University in New Orleans, and during the fall semester Marc fostered Melo, who was about two years old. Marc was only supposed to have Melo for a few weeks, but it didn’t take him long to realize what a special dog Melo was and Marc ended up adopting Melo. Marc returned to camp as a counselor and skiing instructor and brought Melo to camp for his first of many summers. That fall Marc took a job in Philadelphia and knew that a small apartment wasn’t the best place for a dog. Marc found an amazing owner for Melo in fellow staff member Mandy Sullivan. 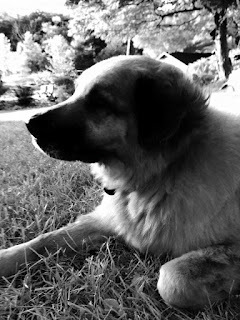 For the next eleven years, Mandy truly gave Melo the best life that any dog could ever hope for. Melo would call North Star home during the summers of those eleven years. 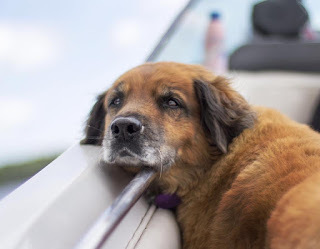 If Mandy was driving a ski boat, Melo undoubtedly would be in the boat with her, enjoying the lake as much as any camper. When Mandy went out for hikes or runs, Melo was at her side. Melo spent several winters at camp as well, living year round at North Star for a handful of years with Mandy. When Mandy got married, Melo gained a great dad in Scott! Melo certainly got the most out of his years. Age couldn’t keep him from his spot in the ski boat. The nature trail could not slow Melo down. Even during his last summer at camp, Melo enjoyed all of his favorite activities and could not be kept from his regular swims in Spider Lake. Melo would visit camp one last time over Labor Day weekend, enjoying all that camp has to offer, and spending time with his best camp friends, both canine and human. Our thoughts are with Mandy, Scott and Marc. Melo will be fondly remembered by hundreds of campers, staff and alumni. His memory should serve as an example to all, in that if we all take advantage of camp as much as Melo did, we’ll never leave North Star with any regrets. Today was our annual bi-camp competition with Camp Nebagamon and they played host to us on yet another beautiful day. About 75 of our boys joined in the fun for competitions in archery, riflery, canoeing, chess, swimming, sailing, cross-country and tennis. This day is an opportunity for our boys to demonstrate the skills that they have been working on this summer. While the camps are in direct competition on this day, this is no heated rivalry. There is a long, shared history between our two camps including that fact that Lou and Renee Rosenblum worked at Nebagamon before founding North Star in 1945. In keeping with the philosophies of both North Star and Nebagamon, we emphasize the values of sportsmanship, teamwork and character as far more important than the outcome of the games. As I walked around today and checked in on the events and checked in with our campers, the boys would say things like "It's going well," "I'm playing great," or "we're having a blast." They weren't focused on the result so much as the experience. At the end of the bi-camp meet, I am always proud of our boys because we get feedback about what great sports they were, how polite they were to the staff, how nice they were to the other campers, and what good kids they are. Thank you to our friends at Nebagamon for hosting a wonderful day, and for working together towards the goals and values we all believe in. Each summer our Senior Village Campers participate in a 3-day special event called College Days. One of the things that makes College Days so unique is that it is completely camper run. The teams organize themselves and compete in events ranging from football to debate, arm-wrestling to a cooking competition, soccer, speedball, softball, cheering, arts & crafts, trivia and more. The colleges this year were Drexel University, University of Tennesse-Martin, Stephen F Austin and San Diego State. The highlight this year was the new addition of the pie baking competition where all four teams had two bakers that worked together to try to replicate a Norske Nook pie, and they were delicious. Our guys really have many talents! Tuesday was our second Cruiser Day of the summer, and it was a great one! Cruiser Day is a cabin day that typically falls on Tuesday at camp. It is a break from our normal routine, and the kids and counselors of each cabin get together to put together a plan for their whole day. The activities can range anywhere from our normal camp activities to the goofiest and most creative things our staff can dream up. Each Cruiser Day starts with breakfast in bed and we feast on some delicious doughnuts. From there, we do our biggest cabin cleanup of the week. Everyone changes the sheets, mops the floor, and we send out the laundry. As if that wasn’t enough fun for one day, then we get into the activities. Kim McCormack helps to make sure that there’s an array of fun activities for the cabins to participate in, and they take on all kinds of things. Many cabins enjoy going tubing and waterskiing. This week they could go slip-and-sliding on the athletic field, go on a photo safari around camp, or even try their hand at cooking their own personal pizzas. Every Cruiser Day ends with a cookout dinner, where each cabin prepares their meal over a campfire. There is a campsite for each cabin, and they build the fire, prepare the food, and feast in the luxuries of the great outdoors. This week we prepared everybody’s favorite – Tin Foil Surprise. It’s a combination of ground beef, potatoes, carrots, onions and topped with cheese. You wrap it up in Tin Foil, and the outcome is the delicious surprise! Dessert was the always popular S’mores. If you haven't read about it already, I encourage you to do so here: Go Outside and Play! Our trips program is in full swing and over half of the cabins have already embarked on their journeys into the wilderness. We have had trips go out to the Superior Hiking Trail, St. Croix, Flambeau and Brule Rivers and have more to come. In addition to being able to experience all of the thrills of the wilderness, the cabin trips provide a wonderful group bonding experience. It is really a time where the campers must work together to accomplish the daily tasks of getting down the river, setting up camp and preparing the meals. It's a true test of teamwork that allows the campers and counselors of a cabin to really come together. We love hearing the stories they tell when they return to camp and seeing the pride they take in their accomplishments. While our Senior Village Campers were participating in College Days, our Juniors and Intermediates had some opportunities for bonding themselves. The Junior Village had a campfire where they played Beach Flags, a game where the campers lie down and feathers are placed behind them. One less feather is placed than campers present, and thus, after each round, one camper is eliminated. The goal of the game is to be the final camper standing. First, each cabin played their own game; next, these winners represented their cabin in the final Junior Village match. Our second session Green-White competition is underway and Village Activities have been fantastic. There have been spirited games of softball, kickball, dodgeball, football, soccer, speedball, tennis baseball and more. Our Green-White Egg Marathon is coming up this Friday and the enthusiasm is very high. One of our parents had shared the below Facebook video and it really resonated. There are always a lot of different subtexts to each summer, and one of them over the last few years has been the role that technology plays in our camper's lives. There is no doubting that tablets, smartphones and computers are a part of their day to day life. There is also no denying that technology has opened lots of doors for the kids that we serve. Unfortunately, all too often, we are seeing that the continued time that kids spend in front of screens closes the doors on other opportunities. One of them is time that kids spend outdoors, in nature. Obviously we believe this is one of the real benefits of the camp experience. We are able to help fill the gap that was kids playing in the neighborhood, exploring nearby woods, and having experiences in nature. This is a big part of why we don't allow our campers access to phones and other devices with video screens. It can be a tough adjustment for campers and their parents alike, but we think that this video illustrates a pretty significant change in our camper's lives versus the lives of their parents. A week ago we said goodbye to approximately 120 campers for the summer. Part of my role is that I take about 30 of them to the airport, and due to the nature of kids traveling by airplane, the campers get their cell phones back for the trip home. These kids who were detached from their smartphones for the summer were instantaneously sucked back in. Many of them spent the few hours at the airport exclusively on their phones instead of spending time with friends who they weren't going to see until next summer. There is no doubt that devices aren't going anywhere, but it is up to each of us to help our campers/children find a balance. We don't advocate totally cutting technology out of your kids lives, but finding that balance and setting boundaries is vitally important. Your kids have shown that they are capable of existing for a whole month (or two) without their favorite devices. Use that as a springboard for finding that balance back home. Time in nature is an essential part of camp, and we truly hope that not only will our campers leave North Star with great memories of their time catching frogs, fishing on the lakes and paddling down rivers, but that when they are telling their own kids about their memories from childhood, these are the stories that they'll tell. We will continue to not only disconnect campers from their devices for the summer, but also create an environment where our campers can discover the role that nature and the outdoors can play in their lives. I don't know if there is such a thing as a normal day at North Star, but I wanted to catch everyone up to speed on the program thus far. It has been very busy since the boys arrived on Sunday afternoon. We've done swim tests, physicals, village activities and challenge games. We had All-Camp Capture the Flag, the Introductory Staff Show, and organized free periods. We've taught the boys our camp rules, they've made their cabin rules and they've learned the important procedures around camp. They've learned fun camp games like continuous dodgeball, tush ball and tetherball. And they've learned cabin games like mafia, spoons (or tongues), Egyptian Ratscrew and more card games galore. But as of today (Tuesday), it was time for our first typical day. Just after breakfast this morning, the campers received their first schedules of the session. They submitted their Activity Picks on Sunday Night and Dan and Kim spent the last two days ensuring that every camper received his perfect schedule. This morning after cabin clean-up, as we hit another perfect 80 degree day in the Northwoods (with 50-degree overnight sleeping weather) it was time to hit the fields, lake and courts. We don't waste any time here, not just because every moment at camp is precious, but it's vital to get the campers in to a routine. Moreover, for campers that are still getting adjusted to life at camp, getting into the program finds them learning new skills, having success on the program and perhaps most importantly, having fun. You can read more about the schedule of a Typical Day. Our day was actually started early as cabins S1 and S2 headed off on their hiking trip on the Superior Trail in Minnesota. Our S4 cabin also departed on the Brule River. We also had a great 4th period slate of challenge games. For fourth period challenges, we let one guy from each cabin come up to the microphone during announcements and challenge the other cabin to a sport or activity. It is a always a funny time at camp, and it helps ensure that no camper leaves here with a fear of public speaking. We ended the day with our staff introduction show, where Joe and Max conducted a Jimmy Fallon-esque talk show to show of our staff and their talents to the boys. The fun has begun here in our 2nd session. Check it out! Our guys who just arrived had some business to take care of. They took their swim tests, health checks and played continuous dodgeball. They learned our traditional camp games like tush ball, tetherball, mafia and more. Our 8-weekers went on day trips today including hikes to Amnicon Falls, Morgan Falls and St. Peter's Dome, a mountain biking trip, a disc golf trip and even canoeing on the Namekagon River. It was a great day and we're heading right into our regular program tomorrow! We are off and running for the second session of the Summer of 2015! The buses pulled in to find a perfect 80 degree afternoon and the forecast says that nothing is going to change. The staff and 8-week campers were anxiously awaiting their arrival, and they went crazy upon their arrival. We gathered around the flagpole and announced the cabin assignments. The campers are now unpacking and all of the new campers are getting tours of camp. The staff are running games so that they can all of the campers can learn each other’s names. At 6:00pm we will have a delicious dinner of hamburgers and fries, jello, salad and the ever present Sun Butter and jelly. There will be vegetarian burgers available for those that prefer, and Gluten free options for those that need it. And, of course, brownies for dessert. The food this summer has been fantastic, and we're looking forward to a great dinner and many more great meals. After dinner, each camper will sign up for his first week of activities. He will get a list of about 100 activities, and, with the guidance of his counselors, he'll narrow it down to six. At our parents weekend Friday Night Service, our theme was about being your best self, whoever that may be. As the boys sign up for their activities, that will be just the first step in that process in a summer where we will help them explore their interests and learn about themselves. We had a great sermonette by Oliver Rockman, who talked about his transformation from a homesick Junior Village camper to our Senior Village Director. He talked about the importance of the relationships he formed with lifelong friends at camp and with the staff that encouraged him and inspired him. We have all kinds of campers at camp, and tonight they have begun to come together as a part of the North Star community. After each cabin plays in challenge games with another cabin, the boys will take part in our traditional opening Candlelight Ceremony. As is tradition, the counselors will lead a cabin meeting that includes further introductions, goal-setting and sharing everyone's expectations for the summer. The candlelight ceremony is part of the team-building process at camp, which the counselors continue to develop all summer long. From here on out, you can follow along with the summer of 2015 on our website at www.NorthStarCamp.com/blog. We will also be posting updates on Facebook at www.facebook.com/northstarcampforboys and on Twitter at www.twitter.com/northstarcamp. Thank you for trusting us with your boys. We are going to work tirelessly over the next four weeks to make sure that your boys not only have a fun summer, but that they continue to grow into wonderful young people. I know they are going to love our staff, who are excellent role models for your boys. We are so excited for a great second session of the Summer of 2015! Check out this great footage from our Junior Village Cruiser Day! On Monday, we had our first full rainy day in three years. The rain might have kept us inside, but we didn't skip a beat. We had a rousing game of all camp bingo, one of the campers favorites. The energy of the staff and campers made it a great day. Since then, though we have had just perfect weather! Tuesday was our second Cruiser Day. Cruiser Days are some of my favorites days at camp. In many ways, it is like our weekend at North Star. Cruiser Day is a cabin day, which typically falls each Tuesday at camp. It is a break from our normal routine where each cabin plans a full day of games and activities that they will do together. Each Cruiser Day starts with breakfast in bed. We follow that up by changing our sheets and sending out our laundry, and a community pickup, where each cabin takes responsibility for cleaning an area of camp. From there it is up to each cabin what they will do that day. Some Cruiser Day favorites include tubing, visiting one of the resorts across the lake, scavenger hunts, slip and slides and more. Kim McCormack works hard to make sure each Cruiser Day is filled with special events for the campers. This week she set up a scavenger hunts, cookie baking, and a slip and slide. The slip and slide is one of the seminal moments of the summer for me. It is living proof of how the energy of our staff fuels our summer. With two sheets of plastic, some shampoo and a hose, our staff can create one wild and crazy day of slipping and sliding. Each village also has a village cruiser day. The first week was the Junior Village Cruiser Day and our youngest guys spent the day at the water park, mini-golfing, after having their own Hunger Games themed activity at camp. This week our Senior Village campers headed to Wild Mountain water park and enjoyed the beautiful weather. Each Cruiser Day, every cabin cooks out their dinner over a fire. For the first cookout we made Tinfoil Surprise, a camp favorite. It's a combination of ground beef, potatoes, carrots, onions and topped with cheese. You wrap it up in Tin Foil, and the outcome is the delicious surprise! Then we finished with my personal favorite dessert, banana boats. This week was hot dogs, and there is nothing as classic as roasting a hot dog over the fire. Dessert was the traditional yet scrumptious S'mores. The best part of Cruiser Day is getting to see the relationships that have formed within the cabins. These groups really do become close because of the efforts of our staff. Each cabin has their own unique identity and the friendships born out of them are the glue that makes our community such a strong one. Now we are in the buildup to United Nations Day this Sunday. It is a tradition since camps very first summer, where the whole camp is divided into four nations. This year's teams are Ireland, Spain, South Africa and Morocco. Tonight's Friday Night Service was about the importance of being a Global Citizen. We heard from our international staff members about their home countries, and we read, spoke and sang about the importance of embracing the differences between people from all over the world. We are lucky have campers and staff from over a dozen countries here this summer, and we are working to ensure that everyone leaves having learned from camp the importance of being a global citizen. A Very Happy 4th of July! Breakfast on the 4th of July is one of my favorite times during the summer. The enthusiasm is off the charts. Songs like Born in the USA, Party in the USA, Proud to be an American, and the Star Spangled Banner echoed loudly through the Lodge this morning. Then we read the Declaration of Independence as our morning grace before enjoying the waffles that the kitchen staff brings out with sparklers. There is a tremendous amount of anticipation for the day ahead, with a ton of excitement for the morning's Green-White Marathon and the evening picnic with Birch Trail (more below). I love that breakfast though because it's an opportunity to recognize the ideals on which our country was founded and to acknowledge how we can live up to those ideals at camp each day. Our Friday Night Service this week was on the topic of character. We talked about being yourself and standing up for what you believe in. 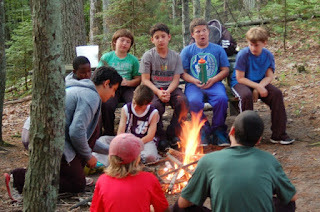 We had a great sermonette and stories about why these actions are so important, and we had a great keylog ceremony where so many of the boys talked about camp being a place where they really could be themselves. And when you put last night and today together, it gave us a great opportunity to talk about what is maybe the simplest value that we are continually working to teach at North Star - To do the right thing for the right reasons. The morning was our Green-White Marathon. This is a relay race that includes nearly every event in camp. It starts with a running race and includes fun-bugging, swimming, canoeing, climbing, archery, riflery, biking, skipping, tent building, tennis volleying, bed making, basketball shooting, bucket filling, singing, and more, before leading to Boil Water Boil. In this final event, the whole camp gathers around as the two teams compete to build a fire that can boil a tin can full of water over the top first. It was a very close race with the Green team squeezing out Boil Water Boil to take the lead and win the Marathon. After lunch, we gave the boys some time to pretty themselves up for our Fourth of July picnic with camp Birch Trail. The girls arrived and much to their surprise we had turned our social into the "wedding" of our counselor Keith and his fiancé who is on staff there. There was a ceremony followed by speeches and a wedding dance, with dinner and many other fun activities sprinkled throughout the night. We talk quite a bit about the Canadian as a hallmark moment in a NSC camper's career. 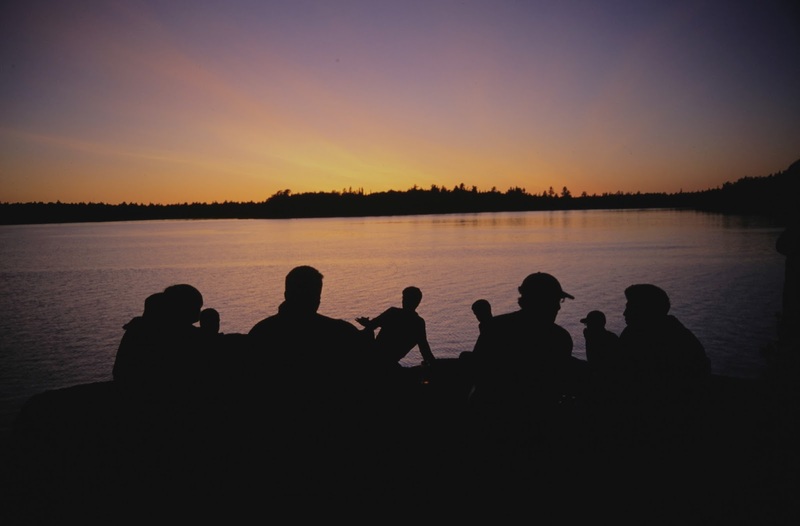 Talk to NSC alumni who took the Quetico trip and they will tell you about the impact that the trip had on them. Years later, we see many of our former campers writing their college essays on the Canadian and the profound impact that it had on them. In my years at North Star, I have been fortunate enough to go on five Canadians, once as a camper many moons ago and four additional times as a staff member. It is not an overstatement when I say that those Canadian trips rank amongst the highlights of my camp experiences. As a camper, the Canadian pushed me in ways that I did not realize was possible. To a 15-year old from Deerfield, IL, the trip posed physical and mental challenges that were never on my radar. It also brought me together with a group of four cabin mates and two counselors (yes, we had seven on our Quetico trip) and really helped me understand the true meaning of teamwork and friendship. Over 20 years later I can still remember late nights in the tent, talking about nothing important as we shared in this common experience. I still have a copy of my cabin Canadian journal as well as a framed poster of myself and Micah Rosenbloom paddling on Cirrus Lake with the sun setting behind us. It was 12 years between Quetico trips for me, but being able to be a counselor on the trip helped me really understand the impact of the trip. As a camper, your blinders are on and you see the tasks at hand, not the bigger picture. The counselor/trip leader perspective allowed me to take a step back and see the growth that each kid was experiencing on the trip. The Canadian isn't easy and each person hits their wall. It is in those moments, when fellow cabinmates are their to pick each other up and be a support that the true lifting happens. Each camper can carry a canoe or a pack (whether they realize it or not), but the real work is in lifting up your cabinmates when the wind isn't at their back. I wanted to share a picture that I took on the Canadian in 2004. This campsite is on Russell Lake at the base of Chatterton Falls (for those who have been on the Canadian, this is the same lake with the infamous billygoat portage). Adjacent to the campsite was a massive rock outcrop overlooking the lake below. During our time at the campsite on Russell Lake we spent quite a bit of time as a group on this rock. We watched the sunset, played cards and just hung out. I look at this picture as the essence of the Canadian. At the end of a long day before another long day ahead there is time for reflection and fellowship. There are no distractions, just a group of guys hanging out, literally in the middle of nowhere. In a world seemingly overloaded with cellphones and video screens, there are still placed that we can go and experiences that our campers can have that brings them back to what is truly important. As the Pine Manor campers go to bed tonight, the last night of their trip, they are undoubtedly filled with a sense of accomplishment and satisfaction. I vividly remember the last night of each Canadian that I took, sitting around the campfire, passing out all the excess food (lots of cookies), and relishing the sense of euphoria and accomplishment. Even though there may be a few more miles to paddle and one or two final portages, with the end in sight, that last day was a true victory lap. Seeing each group come back always brings back Canadian memories for myself and the other NSC staff who went to Canada themselves. For our Canadian alums, tomorrow another 24 campers will follow in your footsteps as they return from Atikokan to NSC. This Sunday night we did something different. I have been learning a great deal about the importance of free play in the development of children and the tremendous decline in opportunities for our boys to experience self-directed, free play (see here, here or here). With that in mind, for the first time we had an Unorganized Free Period. The prompt was simple: Go Outside and Play. The boys looked shocked. This is not something kids are used to hearing these days. In a world where their schedules are getting tighter and the stress levels are getting higher, this child-directed free play was an exciting, out of the box experience. There were two rules - 1) Everybody had to be outside, and 2) The counselors are to supervise for safety, not to play or organize. The result was fantastic. We had everything from pickup games of basketball, tennis and floor hockey, to improv games, gaga, and medieval imagination games. Some boys were fishing off the dock and catching frogs, while others were playing gaga and newcombe. Campers of all ages were taking the lead and organizing activities. And the kids loved it. The second part of our evening were Cabin Campfires. For 70 years, North Star has played a valuable role in the development of its campers. Our campers learn about themselves, become more comfortable in their own skin, discover meaningful relationships, along with countless other life lessons. One thing I recently realized is that most of our campers don't realize this until years later. So one of my goals for this summer was to help our boys better process their experience as it happens. 1) Accomplishments - everyone should take a moment to recognize the things they have accomplished in this past week. 2) Compliments - a chance for cabinmates to praise the positive things they have seen in each other. 4) Discussion - an opportunity for the group to discuss issues, problems or challenges and work together to find solutions. 5) Reflection - a few dedicated minutes of time to ones self to think about how to better friend, cabinmate and camper in the coming week. 6) Goal Setting - to conclude with a tangible plan for the week ahead with both individual and group goals. 7) S'mores - how else could you end a campfire? With both the Unorganized Free and the Cabin Campfires, we were upfront with the boys about why were doing what we were doing. Not only did they understand it, they appreciated it. We heard from many of our campers how nice it was to be able to have time like this, where they could just be kids in the woods. They felt empowered by the opportunity to set their own agenda, to be responsible for both their own fun and their own learning. Going forward, this is going to be our Sunday night routine. We'll continue to adjust and adapt as we learn more, but it was immediately clear how valuable this was to our boys. Tonight was our first Friday night of the summer, which marks our first Friday Night Service. Every Friday the whole camp gathers at the Council Ring (see below) for a values based campfire program. For 71 years at North Star, the first one has been the Friendship Fire. In addition to the keylogs, we had some stories, songs and readings. Sam Bricker gave a great sermonette about the significance of the North Star family in his own life. Mike Storms played "Let the Rest of the World Go By," which was a favorite of Lou and Renee. There were more readings, stories and songs that made for a beautiful evening. But the real beauty will be in the friendships that continue to develop over the rest of the 2015 summer. Tonight, in Southern Ontario, 24 campers, four counselors and two trip leaders are spending their first night in Quetico Provincial Park after their first day of paddling, portaging and exploring one of the great wilderness paddling areas in North America. The Canadian canoe trip has become one of the hallmark moments in our camper's career at North Star. So when our Pine Manor campers loaded a bus and headed to Canoe Canada Outfitters on Wednesday, it wasn't just about the preparation done over the past weeks and even months that were coming to fruition, it was the product of each camper's years at North Star. When campers come to North Star, they are going to experience a wide variety of things. One of them is taking a wilderness trip with their cabin mates, counselors and a wilderness trip leader. For a camper in Junior 1, that trip will be a two day paddle down the mighty Namekagon River. The trip is meant to expose our campers to the basics of an outdoor trip and give them an initial taste of what it means to go camping. They'll sleep in tents, make pita pizzas on the campfire, and begin plying their paddling and tent building skills. Under the watchful eye of trip leaders certified as Wilderness First Responders, campers are able to begin exploring not only the wonders of nature, but they experience how they themselves fit into the outdoor world. As campers progress at North Star, they move through the tripping program. Each trip builds off the previous one and leads to the next. 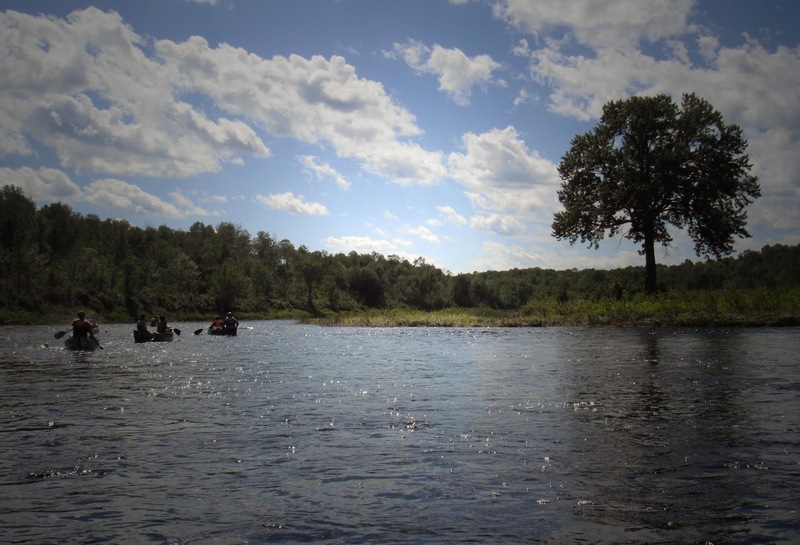 Campers go from the Mighty Nam to the St. Croix River. They'll paddle the Brule and Flambeau and hike places like The Superior Trail in Minnesota. Each trip poses new physical challenges as the rivers become more advanced and the trips themselves become longer. These challenges are all done as a group. Trips aren't always easy. Weather, paddling conditions and group dynamics are just a few of the elements that will test our groups. It is within those very conditions that our campers grow. The true test isn't in being the best paddler or carrying the heaviest pack, but in how they respond to the challenges that a wilderness trip throws at them. We've come to appreciate the term Type II fun, but it truly is amazing when campers return from the wilderness and focus on the challenges of their trip not in a negative way, but with stories that make them feel like conquering heroes. They faced challenges head on and while it may not have been fun in the moment, they're able to recall how they got through it. More than that, however, is the added sense of self achievement and confidence through their new found strength. Perhaps the most important part of our trips program is the fact that campers are taking on these challenges alongside their cabinmates and counselors. Often times, cabin groups will go into a trip with various issues and dynamics, but after spending ta handful of days on the river and in tents, groups work together and individuals get a better understanding of each other. And with many of our campers, they will move up, summer after summer with individual and groups of friends, making that trip experience even deeper and more profound. So, tonight as our Pine Manor campers end day one of the Canadian, they are having an experience that is a true culmination of their NSC careers. They are joined in spirit as well as real envy by a legion of NSC alumni who themselves completed the very same trip and have vivid memories of their nine days in Quetico. We eagerly await their return in just over a week and look forward to hearing their stories and seeing their obvious growth...and ultimately passing that torch to future Pine Manor campers. While most of the days during orientation are spent training hard, we still manage to have a lot of fun too! Thanks to Derrick Morrin for putting this together. We couldn't ask for much more than we had today! It was a perfect day in the Northwoods - 80 degrees and sunshine. And when a day includes arriving at dinner like this, it's pretty hard to beat. Before we get into our regular programming tomorrow, we first had to take care of a little business today. Each camper today went through the Camp Advanced Swim Test and a health check, and more importantly spent the day getting more familiarized with his cabin, his village and the staff. Each village took part in a game of continuous dodgeball, a first day tradition. While our guys absolutely love dodgeball of any sort, on the first day it comes with a twist: if you get somebody out, you have to introduce yourself. (You are in a "safety zone" while you are in the process of the introduction.) With the help of the candlelight ceremony and some other games yesterday, the campers learned the names of everybody in their cabin. Today, with the help of this village activity, they start to learn the names of all the campers and staff in their village. After an organized free period, it was time for our Opening Banquet Dinner. The counselors dress up in their most festive gear, which ranges from animal costumes to Sue's old dresses, and act as waiters for their cabins. We chowed down on a delicious meal of Caesar Salad, spaghetti, ravioli, tortellini and garlic bread. And for dessert, our famous "Dirt and Worms." It's not what it sounds like - but rather a vanilla pudding with crushed up Oreos and gummy worms inside. It's delicious! While the night was through then for most of our boys, our oldest group was preparing to leave for Canada. Tomorrow morning, they will take off on their 10-day journey through Quetico Provincial Park in Ontario. They did some training today along with packing, and the group also gathered at Andy and Vickie's house for a proper send-off. We talked about the significance of the trip and previewed the fun, growth and friendship that will stem from this trip. We're so excited for them and can't wait to hear the stories when they get back! We Kickoff the Summer of 2015! The campers have arrived safely and North Star’s 71st summer has officially begun! We arrived to sunshine and a warm and wild greeting from our staff. We gathered straight around the flagpole to announce the cabins. The campers and staff alike jumped for joy! And as we were about halfway through, it began to pour! We ran into Mike Hall, where the fun of the opening celebration continued. We finished announcing the Intermediate Village, and before we could even finish, the sun was again shining. The energy and enthusiasm carried us right back to the flagpole to announce the Senior Village cabins. The cabin list is attached. The boys are now unpacking and new campers are being given a tour of camp. For the first time the boys are even excited to shower! The showerhouse has been renovated to include twice as many showers as before and tankless hot water heaters, to ensure that the campers never run out of hot water. By the time they go to sleep tonight, they'll have played games with their cabins and met some of the other guys their age as well. Dinner this evening will be burgers, fries, jello, salad and the ever present Sun Butter and jelly. There will be vegetarian burgers eavailable for those that prefer, and Gluten free options for those that need it. And of course brownies for dessert. Immediately following dinner, the campers will choose their first week's activities. The candlelight ceremony is a longtime camp tradition, but it fits right into one of our big goals this summer. We work very hard every year to create a safe (both physically and emotionally) and fun community where our boys are able to grow and develop. This year, I have asked the staff to pay particular attention to helping them process that development. From camp every summer, boys at North Star are building confidence, developing relationships, growing more mature and independent, and working to always do the right thing for the right reasons. Our parents always take note, but the campers often don’t realize it until much later. That is why we have added Sunday night cabin campfires for this year as a time to reflect as individuals on the week behind. It is why we are also adding a weekly “Unorganized Free period” to give the boys an opportunity to experience child-directed free play that is essential to their development. My goal is that every boy leaves camp more mindful of their own growth, strengths and values. The secret is still that they will spend their days playing with each other and with great role models. Tomorrow the kids will have a busy day as they get checked out by the medical staff, take a swim test, and find time to play several games of dodgeball. Evening program tomorrow will be our first game of All-Camp Capture the Flag. First thing on Wednesday morning the boys will begin their first week of regular activities. Wednesday morning our oldest campers will leave for their Canadian adventure, where they will spend 10 days in the Canadian wilderness in Quetico Provincial Park. Our 8th graders (we use the grade they just completed) will leave that day for five days on the Superior Hiking Trail. Wednesday evening will be the staff show, where our very talented group will be on display. I’m Josh Lederman, and I’m from Highland Park, Illinois. I just finished up my junior year at Chicagoland Jewish High School in Deerfield, Illinois. At CJHS I was on the golf team and was actively involved in DECA. My school was fortunate enough to compete in the North Suburban DECA competition for the third straight, where we had a successful showing as a team. In between the end of school and the days before camp, I am doing a lot of college research. I am looking at schools with strong communication programs because I want to be a sports broadcaster in the future. I also hope to play a couple rounds of golf before I head off to camp. This will be my 8th summer at camp and 2nd on staff. At camp I will be instructing archery and some athletics. I am looking forward to a fun-filled summer and I am excited to see everyone when camp starts. - I would travel to Hawaii to learn how to surf, go on many snorkeling trips, and explore active volcanoes. - Camp has had a tremendous impact on my life. As a shy and timid child, North Star provided me a place where I can be myself and have fun. I have learned to step outside of my comfort zone and try many new things that I could never do at home. Each year I learn something new about myself at camp and I am always looking forward to grow as an individual at camp. Elliott Goldberg is back for summer number eight. Elliott lives in Wilmette Illinois with his parents, brothers Ike and Miles, sister Ella and dogs Kubbie and Lacy. They all recently went to California for a family trip, though we assume that Kubbie and Lacy didn't make the trip. Elliott just finished his junior year at New Trier HS. His favorite subject is history. At New Trier, he's on the track team, where his main event is the 400M dash. At camp Elliott will be teaching riflery and waterskiing. - I would bring a good book, as much water as I could carry and a solar powered fan. - My favorite spot at camp is for sure the council ring at sunset. - Bulls, Blackhawks and Bears! - I would go to China. I would love to go to the great wall. The culture in China is so cool. - Snickers Pie for sure! - Being able to come to camp as a camper 9 years ago! - Camp has made me a better person overall. 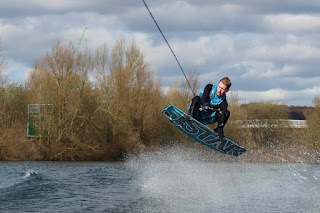 It has made me much more self aware and I am able to have had many experiences that i never would have had in an urban environment like camping and waterskiing. Thomas Fies returns to North Star for his fifth summer, but his first summer on the NSC Staff. He just finished his sophomore year at Evanston Township High School. At ETHS he's on the swim team and plays waterpolo. He's also on the ultimate frisbee club. Thomas will only be spending first session at camp this summer because he’s going to do some research trips. He's headed to Bonaire and Curacao. As part of the trip, he's going to be catching lizards, taking data on their measurements and comparing them all over the island to see how they’ve evolved differently. - My favorite spot at camp is the council ring, although the main fire pit in the villa is a pretty close second. - If I could have lunch with any two people, it would have to be Zlatan Ibrahimovic and Kanye West. - I root for the St. Louis Cardinals, the Alabama Crimson Tide, and the Bears. What is your favorite program at camp? - My favorite program at camp is disc golf because of how different it is, but I also love water skiing and playing speedball. - If I could travel anywhere in the world, I would go back to Quetico Park in Canada and go fishing and camping. - I don't have a go-to pie at Norske Nook yet because I've only been there twice, but both times it has been amazing. - The best holiday gift I've ever gotten would be when I was 9 or 10 and addicted to Legos, and I got the Star Wars Death Star which was about 3,000 pieces and kept me busy for days. - Finally, camp has impacted me in more ways than I thought possible. I've grown so much since my first day at camp, both physically and mentally, and most of the maturation I can trace back to being caused by North Star. It has given me more of a sense of responsibility and more self-esteem thanks to the incredibly welcoming environment, and I will always be grateful for the second home given to me by camp. Sean Doyle joins the NSC staff for his 1st summer. Sean lives in Holland, Michigan, but he spends most of his time these days abroad. He and his wife teach English in other countries. Amongst the places he's taught are China, New Zealand and Brazil. After camp ends, he'll head to Japan to teach. Sean was active in the outdoors in high school, but when he went to college, he didn't get to spend as much time camping. After college he took a NOLS course which reconnected him to the outdoors. Some of his favorite trips have been to Pictured Rocks in Michigan and the Boundary waters in Minnesota. Sean will be a great addition to the NSC trip staff. - I heard about it on the NOLS alumni email list. I really liked what I read about North Star. - To work in outdoor education. - I would hike Patagonia. - Anything from Detroit, and Michigan State. - I sprayed powder in Prairie Dog holes to rid them of flees. - I taught English in Brazil. - I have taken classes and worked multiple jobs in the outdoors. I went to camp when I was younger, and I worked a small camp last year in Brazil, which was a lot of fun. I think that camps are a great experience for everyone involved, and I can’t wait to work at North Star. Sifiso Tawane comes all the way from Johannesburg, South Africa to spend his first summer at North Star. 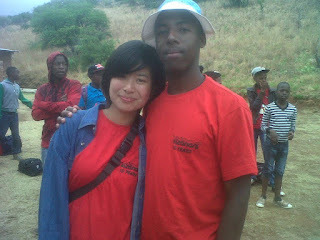 Despite being from South Africa, Sifiso has quite a bit of camp experience. He has worked at Camp Sizanani of Global Camps Africa. Global Camps Africa provides "HIV/AIDS prevention education and training through high-impact residential and day camp experiences and continuing education, equipping young people with the life skills that will support them in becoming safe and productive adults who have hope for the future." The founder of Global Camps Africa is Phil Lilienthal, a former camp director from the US who is good friends with North Star and recommended Sifiso. Sifiso also spent last year working at a YMCA camp in Pennsylvnia and he wanted to get a chance to see how another camp works. Sifiso finished college about a year ago and is hoping to become a social worker one day. At Camp Sizanani Sifiso was a swim instructor, and he'll teach swimming as well as archery. We're excited to have Sifiso join the North Star staff. - I learned about North Star from the core founder of Global Camps Africa, Phil Lilienthal and I applied because I would like to learn more about it myself. - My dream job is to be a Counselor. - My great gran parents. - Amsterdam because it's amusing in a way. - Campus, food and water. 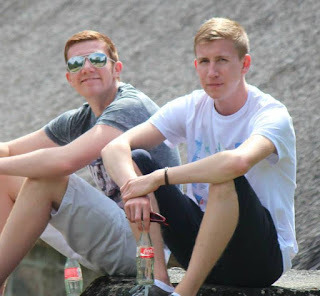 - Working at Camp Sizanani under Global Camps Africa. - I worked at a camp named YMCA CAMP KRESGE situated in Pennsylvania for three months. - My life time experience I won't forget and appreciate is going to USA and I had the best summer. Ryan O'Hara will cross the Atlantic in a few days to join the NSC staff for his first summer at camp. A native of Buckinghamshire in the United Kingdom, Ryan is currently a student Amersham And Wycombe College. 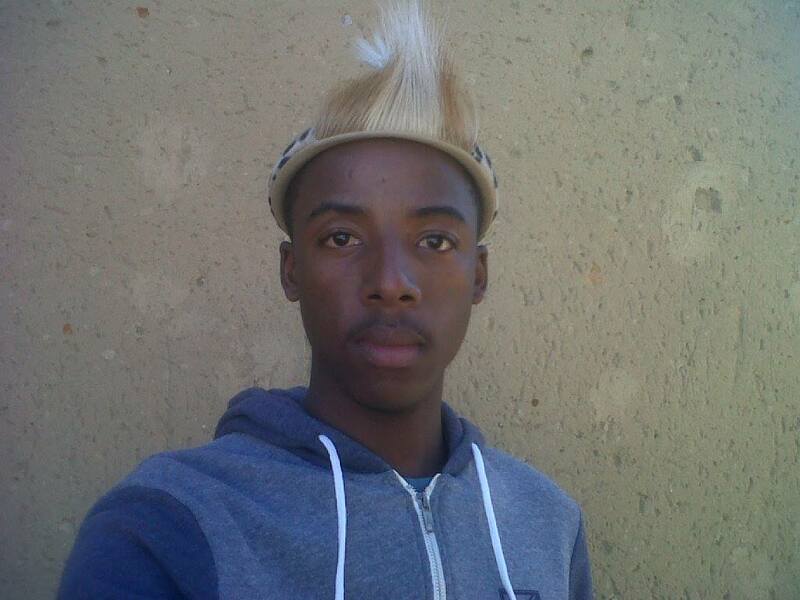 He is a second year student and is currently studying music and performance. At college Ryan is in a band, but his career goals have moved more towards the professional side of things. Ryan also has interest in film production. He's also an avid waterskiier and wakeboarder. He started when he was eight years old at a local club, but over the last few years he's served as an instructor. At camp Ryan will instruct waterski/wakeboarding as well as some climbing and we'll be sure to make good use of his musical talents. - I found out about North Star through the summer job agency MakeMySummer. After learning more about North Star and the activities they offer for campers, I couldn’t miss out on the opportunity to work with them. - I would love to be able to travel around the world as an independent film director. I spend a lot of my spare time filming action sports, gigs and music videos. - Devin Graham and Lenny Kravitz. Devin is an incredible videographer and really pushes the limits in his videos and Lenny Kravitz, well, it’s just Lenny Kravitz really..
- A surfboard, a guitar and friends. - This is new to me, ask me after camp and I may have chosen a team. - I once helped out on Silverstone Radio Station for the British Superbike Championship, that was pretty cool. - Mostly work, a few gigs, a festival and some time in France. - I spent about two years with my local scouts group and I think we did a couple of scout camps a year. Then there was Reading Festival last summer but that made any bad camping experience look pleasant. Kim McCormack returns to North Star for her 17th summer. While her official role at camp is "program assistant", there really isn't a title that encapsulates all that Kim does. She's a big part of putting our daily program together, assisting in the program office with scheduling. She also helps out with special programs, assisting staff as they plan special events all summer long. Along with that, Kim oversees our horseback riding project. During the off season, Kim is a middle school science teacher. A resident of the Denver suburb of Westminster, she teaches in Evergreen, Colorado. Kim has also been involved in taking groups of students to San Diego to for Seacamp. She's the wife of CIT Director Jeff and mother of Lake and Summer. - The home team or the underdog. This summer the y are one in the same ... Go Rockies! - Brazil, Italy, & Australia. I would relax and go wherever the moment took me. - Camp gave me my family!